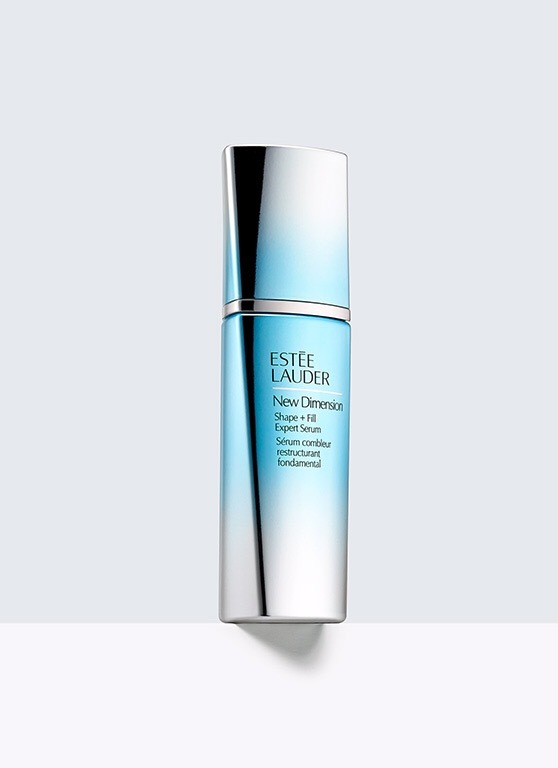 Estée Lauder are always updating their current products and introducing new ranges to keep our skin looking and feeling smooth. It’s been a long time favourite brand of mine for skincare. 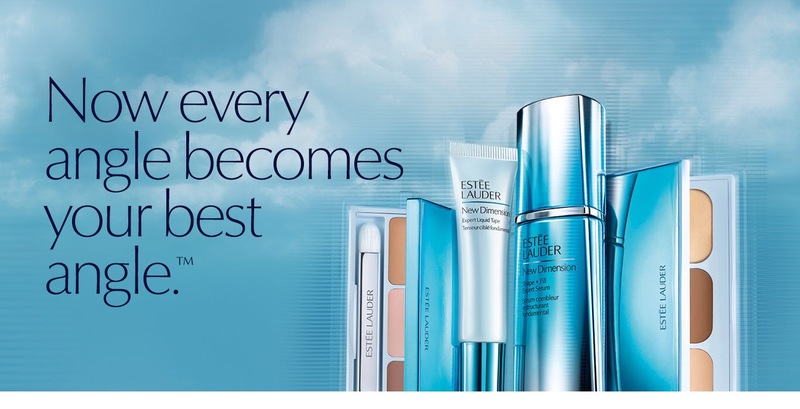 The newest range is ‘New Dimension’ which involves a serum, contour kit and eye contour kit and expert liquid tape. The products are designed to contour the face and give a more sculpted, firm look. 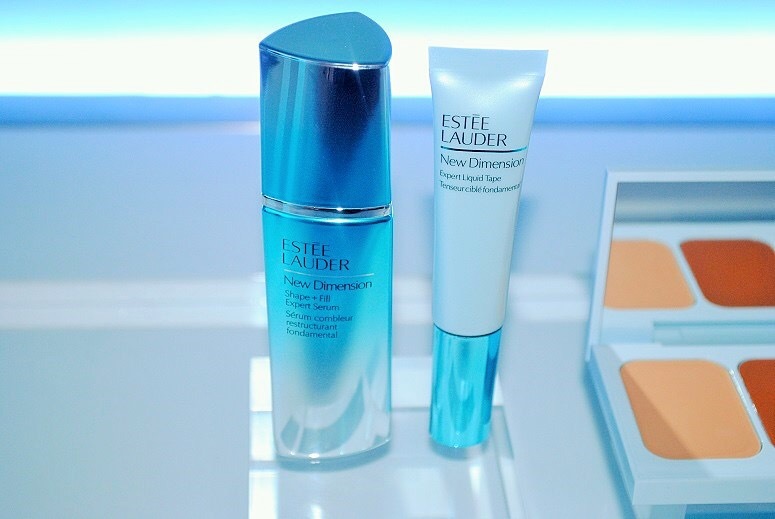 I always take care of my skin (mainly Estée Lauder products) so wasn’t exactly banging on selfridges door trying to grab this product, but when I was walking through, I spoke with my regular EL consultant and she handed me a sample of the new serum (she knows I love to try new products and tend to purchase them!). She told me that the product has exfoliating properties and exposed the fresh layers of skin, therefore not to use for a week before holiday sun exposure. I’m heading out to Egypt in a week for more diving, so I’ve only been able to use the product for a couple of days but already I LOVE IT. I can’t wait to start using it again! The website states that the serum transforms the skin, leaving it plumped, smooth and more refined – with a good majority of those who tested agreeing. It can be used day and night, and I’ve used it for 2 days and 2 nights. Already, my skin is feeling silky and fresh and looks radiant even without makeup. I would go as far as to say it’s a ‘must-have’ product. I currently use the Enlighten and Night Repair serums but after sampling this, I will be swapping over! At £62 for 30ml or £88 for 50ml – it’s pricey. But if your skin is a priority then go for it. I’d say it’s great for any skin type whether you’re dry or oily. For dry skin, it will hydrate and remove dead skin cells. For oily skin, it will leave it feeling refreshed and smooth. Obviously speak with your local EL consultant whether it’s right for you, but I do love it! I’m yet to try the rest of the range but I have a particular interest in the expert liquid tape. It’s used before any other skincare products, on clean skin and does pretty much the same as the serum with tightening and encouraging collegen in the skin to promote a firm, contoured look. Go into your local counter and they’re always more than happy to try the products out on you and give you samples so you can be sure you love your products before you splash out!